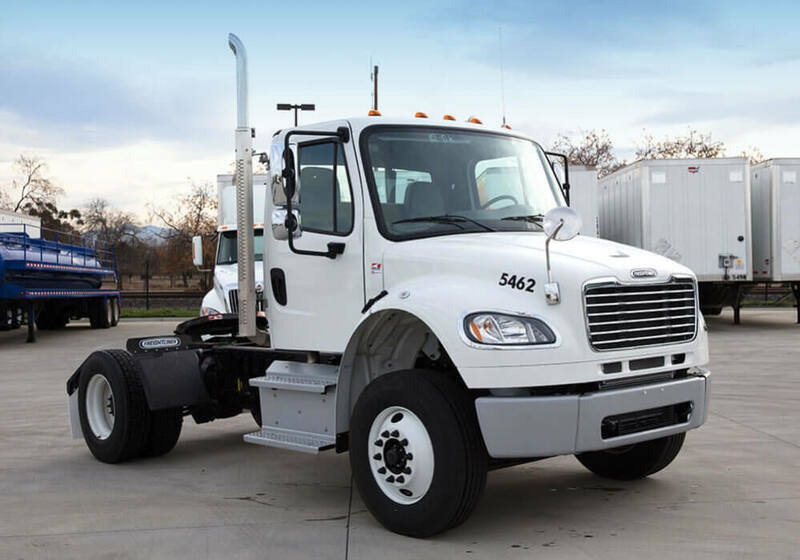 Here at Suppose U Drive, we have a large inventory of trucks to fit a variety of needs. 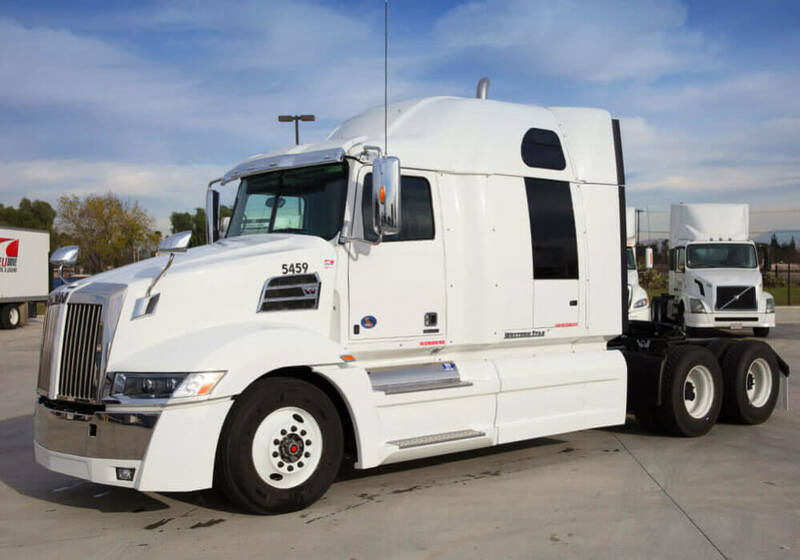 If you need a semi-truck/tractor for your company, our staff can walk you through all of the options on the lot to help you find one that perfectly suits your requirements. Our single axle tractors come in two options. For your lighter duty needs, we offer a 54,000 GCW (gross combination weight) option along with a 80,000 GCW for your heavy-duty needs. 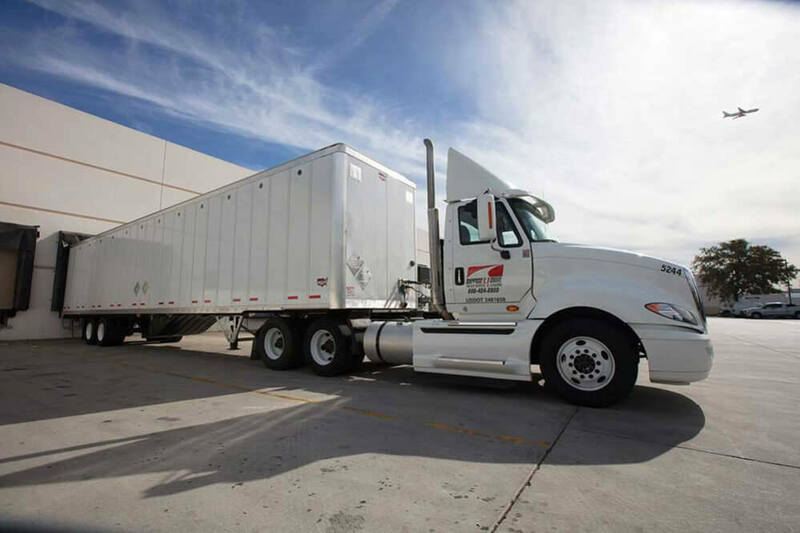 Our heavy-duty trucks can pull double trailers as needed, essentially cutting your transportation time in half. Plus, all of our single axle tractors have an above average turning radius, allowing for easy maneuverability. Our tandem axle tractors feature 10 speed and automatic transmissions, along with Smartway certified equipment, including a roof, side, and tank fairings. They also have a 36-inch sliding 5th wheel and can pull anything up to a 53-foot trailer. For your long hauls, we also offer a tandem axle sleeper that has a 10 speed transmission and Smartway certified equipment. We have a variety of options for you to consider, including day cabs and sleeper cabs to fit your needs. 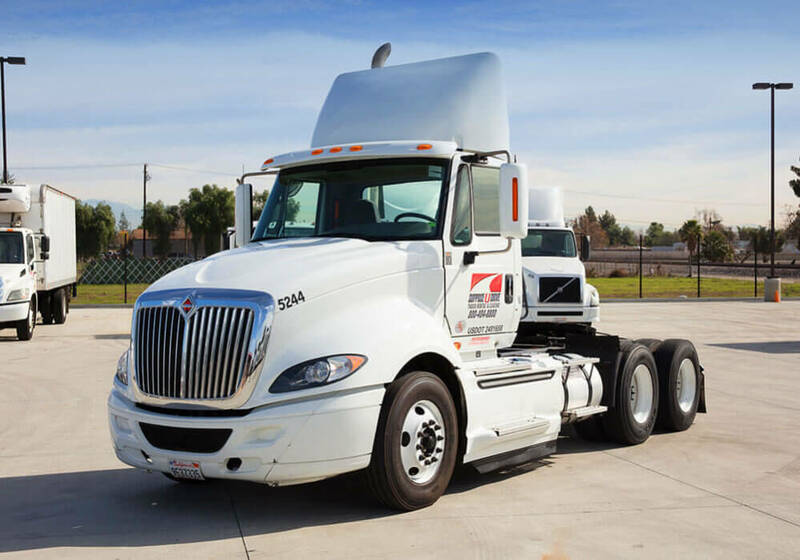 Like every vehicle in your inventory, our tractor trailers are available for both short-term rental and long-term leases. At Suppose U Drive, we aim to offer only the best in customer safety and satisfaction. That’s why we always carry out extensive quality and maintenance checks on every vehicle before they leave our lot. We also only offer top-of-the-line equipment to increase your performance and efficiency while you’re out on the road. If you do experience any issues, just call our 24/7 maintenance hotline and we’ll dispatch a crew to come provide roadside assistance whenever and wherever it may be needed. Are you interested in seeing what trucks we have in our fleet? Stop by our lot or give us a call. Our staff can help you choose the right option to fit your needs, and with our fast and streamlined checkout process, we can get you on the road quicker than any of our competitors.